Donovan Woods’ fall cross-Canada tour begins imminently and will bring him to the Harbourfront Centre Theatre on Friday, November 13. The JUNO Award nominated songwriter gives audiences a taste of what to expect with a live video for “On The Nights You Stay Home” recorded in Toronto for Soundboard. A song of modern jealousy, the single will be included on Woods’ upcoming album. 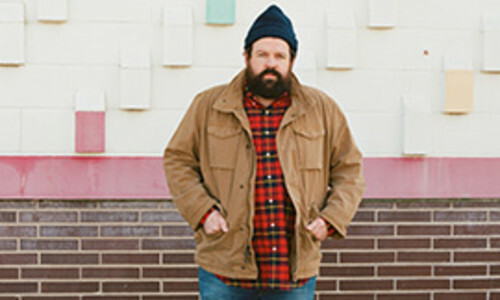 Donovan Woods’ work is guided by a simple mantra: good songs win. Raised in the small city of Sarnia, Ontario, to the sounds of country music, with a healthy dose of folk and pop, a combination that instilled in him a strong belief in the power of a good melody, the importance of everyday language and the potential of a carefully-crafted song. His previous album, Don’t Get Too Grand, proves just that being nominated for a JUNO Award for Roots & Traditional Album Of The Year. While amassing a catalogue of rousing and acclaimed music of his own, he has worked with some of the top songwriters in North America to craft cuts for performers ranging from Alan Doyle to Billy Currington. Massey Hall is thrilled to present Donovan Woods at Harbourfront Centre Theatre on Friday, November 13. Go to masseyhall.com for tickets and more information. We gratefully acknowledge the support of the Ontario Media Development Corporation.